„My mother once said: Hamburg is the gateway to the world - but it's just the gateway and you need to get out of it." Karl Lagerfeld, one of Germany's most famous fashion designers, took these words to heart and moved to the capital of France at the age of 17 to write history in the fashion world. For the Chanel "Métiers d'Art" show, the native of Hamburg, who sees himself "more Hanseatic than German", went back to his hometown. 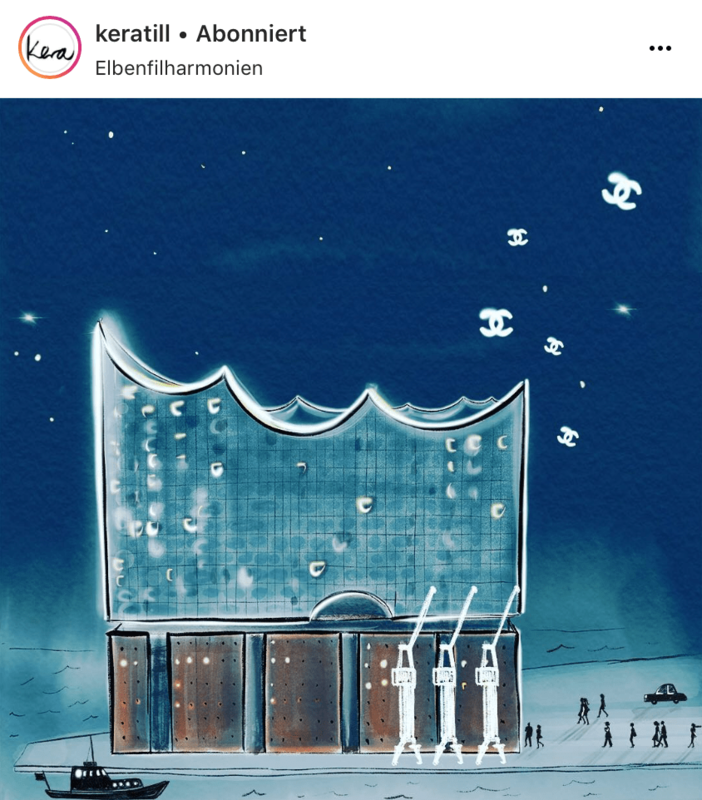 On December 6, the Elbphilharmonie, landmark of Hamburg, was transformed into a luxury catwalk. A white powdered braid, a tall standing white Kent collar, dark sunglasses and mostly dressed in black. That’s exactly how we know the German fashion designer Karl Lagerfeld or King Karl, as people like to call him. However, looking back at his career, these words are no empty promises. In his twenties, he completed his apprenticeship at Pierre Balmain. He then switched to Jean Patou and was the creative director of the French fashion label Chloé at the same time. Since 1965, he designs for the Italian luxury label Fendi. However, his position as Chanel’s creative director is probably his most famous one. 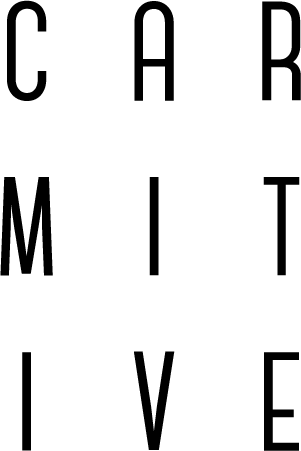 In his beginnings of 1983, the traditional French label was no longer really in its old shape. Lagerfeld knew how to bring the label back to new brilliance and since then, he designed every single collection from haute couture to ready-to-wear – in total he completes six collections every year. This includes the "Métiers d'Art" collection (a collection which honors the fine craftsmanship that its artisan partners bring to the house’s collections), which Lagerfeld always celebrates as a special and personal event. Many of the past places where the shows were held – such as „Schloss Leopoldskron“ in Salzburg or the Parisian Ritz Hotel – reflected life events in the life of Coco Chanel. This year, however, the collection and the location were meant to tell something about Karl's life. Actually, he says about his relation to Germany, that for him it is rather an idea than reality; and in the reality of today, he wouldn’t fit in there anymore. Still, the collection gives us the feeling that he does not really wants to let go of his home country. When Lagerfeld first saw the construction plans of the Elbphilharmonie, he knew that the building would become something special: "The Elbphilharmonie doesn’t remind on a building of the past. It is the cathedral of our century." Accompanied by an orchestra, the models presented the modern, Hanseatic looks on December 6. The several floors were transformed into extraordinary catwalks. They walked past the invited guests and the full capacity of the stunning location was used. Once again, the Chanel show amazed our fashion world. 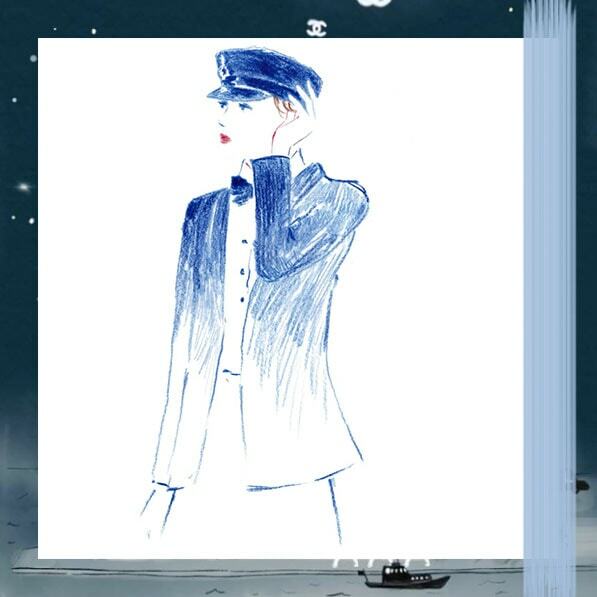 Marine-styled culottes, sailor sweaters and stripes reflected the Port of Hamburg. 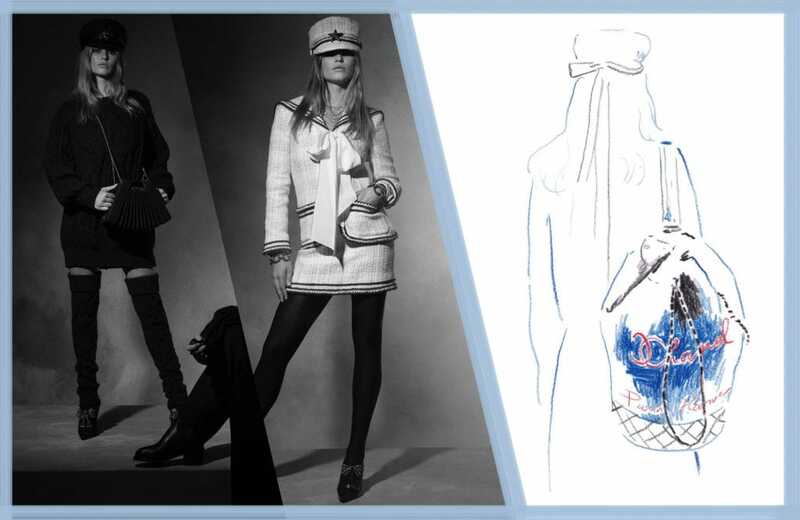 Accessories like a pipe or a duffle bag, gave the looks the additional "sailor's flair". The buckled shoes reminded of women's pumps of the 20th century. In addition, the 60s and the beginning of the Swinging Sixties, were a major theme of the pre-fall collection. Shift dresses, costumes, miniskirts in A-line and oversized caps could be seen on the models. One accessory that could not be missed on any model (not even on the godson of Karl, Hudson Kroenig), was the well-known “Elbsegler cap“. Whether put deep in the face or with a veil, which should remind of the fog of Hamburg – it was the accessory of the evening. After the show, Karl said thank you to the guests, who cheered him with a thunderous applause and a standing ovation to the more than successful collection. A collection in which the past and present were perfeclty linked to each other. The "Métiers d'Art" show in Hamburg showed once more, why Karl Lagerfeld is one of the greatest creative heads, who is simultaneously known for his dramatic staging. Even if the fashion designer is someone who doesn’t like to look back, it was nice to take a brief look into the past with this collection. Posted in News and tagged Chanel, Fashion, Fashion Show, Inspiration, Karl Lagerfeld, Lifestyle, Métiers d'Art, Style, Things to love. Bookmark the permalink.